An affiliate program is a third-party provider or another US university that facilitates enrollment at a host institution or offers their own courses abroad. Students can study abroad with an affiliate program for a semester, year or summer term. Students interested in affiliate programs must first attend an advising session. Group advising sessions specifically for affiliate programs will be held on the following days at the first floor meeting room of the Multicultural Center (same building as the CIE). Click here to sign up for an advising session. When studying on an affiliate program, students must have the courses pre-approved prior to departure by the appropriate faculty member (download the course approval directory) to ensure that the classes taken abroad will be accepted by College of Charleston as transfer credit. Students are not charged College of Charleston tuition but instead will pay a fee directly to the host program. With most providers, this program fee includes tuition and academic fees at the host school, housing, excursions, insurance, and support services. Programs vary, so check with each individual provider to know what is included. Students can use portable aid only on approved affiliate programs. Students may participate in other approved independent programs or study through another US university but financial aid will not travel. Visit our important dates section to see a list of affiliate programs visiting campus this semester. See below for a list of the College of Charleston's affiliate study abroad programs. 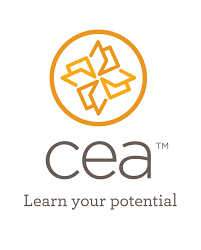 Students considering a non-affiliate program must submit a petition to the CIE.
Students should have an academically compelling reason for participating in the non-affiliate program. The CIE will review each petition on a case-by-case basis considering the academic needs of the student and the rationale for their participation. The petition must be approved and signed by Sarah Simmonite, Associate Director, and Andrew Sobiesuo, Director of CIE, before the student is granted approval. The petition must be submitted to CIE a minimum of 2 weeks prior to the CIE application deadline for the intended term abroad. Note that no financial aid can be applied toward a non-affiliate; this includes all loans, grants, State scholarships, Foundation scholarship, and departmental scholarships. Should a student choose to pursue a non-affiliate they must attend an Affiliate advising session and then schedule an appointment with Sarah Simmonite to discuss their program choice. You can find the Petition to Participate in a Non-Affiliate Program here.